As I sit here and plan out my budget, I find myself thinking of not the pay period that I am in, but the next one and the one after that. Each pay period budget has a different target, a different fiscal goal to accomplish. 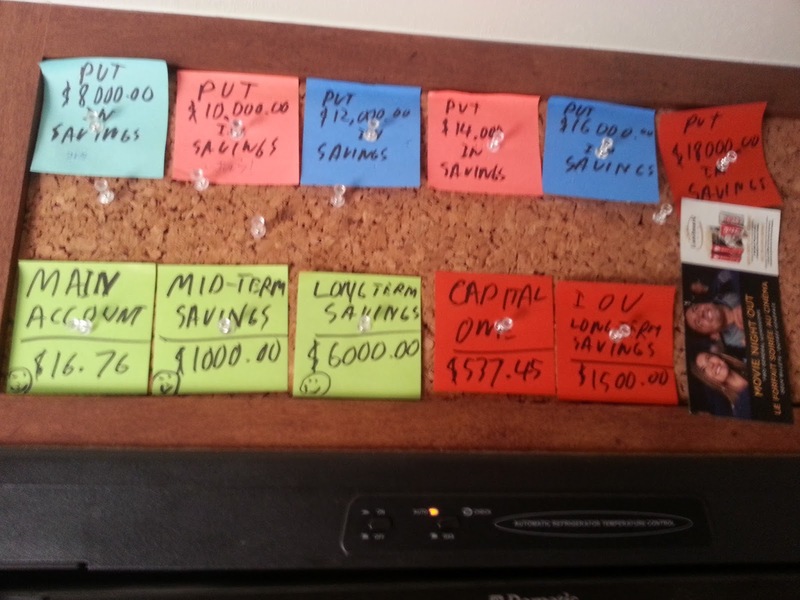 Each one of these goals is a necessary step in my overall path towards total debt freedom. If and when I accomplish each of these fiscal goals, they are but one step in my overall progress. Therein lies the problem, the slow pace of it. After all, my pay period cycle is approximately two weeks, so it takes a painstakingly long period of time to accomplish anything. Yet in the same time, not really, not when you look at the larger picture. In the span of two years (two years next month) of living in Wanda full time I have accomplished a great deal. I have eliminated my credit card debt and saved up a healthy chunk. 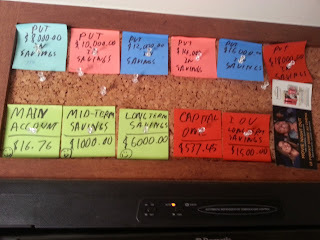 In fact I will have saved up as much as I had indebted on Card #1 and Card #2 combined, as well as my overdraft! Intellectually, I know that I am steadily making progress, good progress at that. I do get frustrated and down now and again, after all, I am human. How you deal with these discouraging doldrums is necessary to your determination, and therefore success. The problem with any endeavour such as mine, one which takes months, and years to accomplish is to keep moving steadily forward. Sure it may take a paycheque to move a small bit forward, but you are moving forward. Each day I am in fact moving myself forward by sticking to my budget and working my fiscal plan. It is important that I see constant movement and progress, I know this, as I know me. The key to this is to keep small reminders of your successes. For me it is those post it notes on my bulletin board. I change these notes regularly to reflect what is going on and let me know how I am doing. This lets me see that I am doing good, that I am making a difference in my fiscal life and situation. As long as I see progress I can and will be able to stick with it. This and keeping I mind the vision and dream of finally and once again paying off all of my bills: always envision yourself having already succeeded and having achieved your goal. P.S. Good news! My favourite dump station now open, so this means that I can access water and finally have the luxury of running water and showers in my own home!